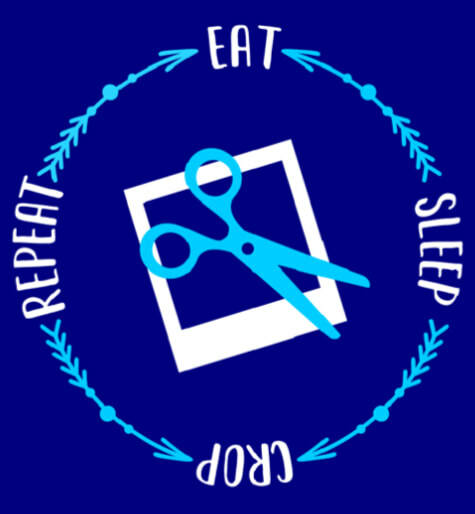 We are now offering our Eat....Sleep....Crop....Repeat Shirts for you to purchase. We will be placing our initial order for these shirts on Monday February 4th. You have until 9pm on Sunday February 3rd to place your order. We will make arrangements to get your shirts to you. You could also pick them up at one of our events or at an event that we will be vendoring at in the area. The shirt color is navy blue with a bright blue and white print on the front and will also have our logo on the back of the shirt printed in white ink.